Gov. Asa Hutchinson announces his plan for building and repairing Arkansas roads at a Feb. 11 press conference at the state Capitol. 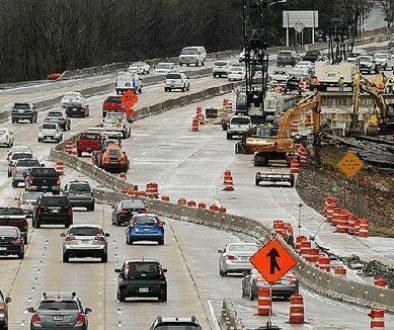 The long-delayed Arkansas highway funding initiative moved along this week, passing a Senate committee with one official no vote. The plan was scheduled to go to the full Senate on Thursday but, considering 22 of the chamber’s 35 senators are sponsors of Bill 336, I like its chances. And by delayed I don’t mean this particular bill, since it was devised just this month. I mean delayed as in a program like this should have been pushed through years ago. The passage of the bill, of course, doesn’t mean the $300 million funding package is money in the bank. But that sounds like naysaying, which I’ll avoid. I’m just pleased that years of badgering and patience have brought the state to the threshold of better highway funding. 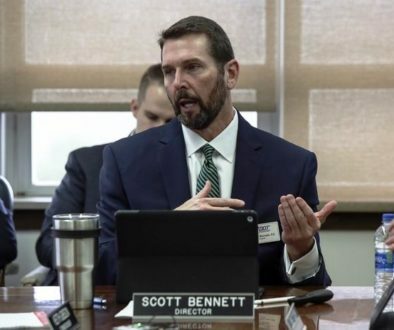 “After years of talking about this, I think the Arkansas Legislature is finally ready to do something about it,” said Joe Quinn, executive director of the nonprofit Arkansas Good Roads Foundation. The plan that Gov. 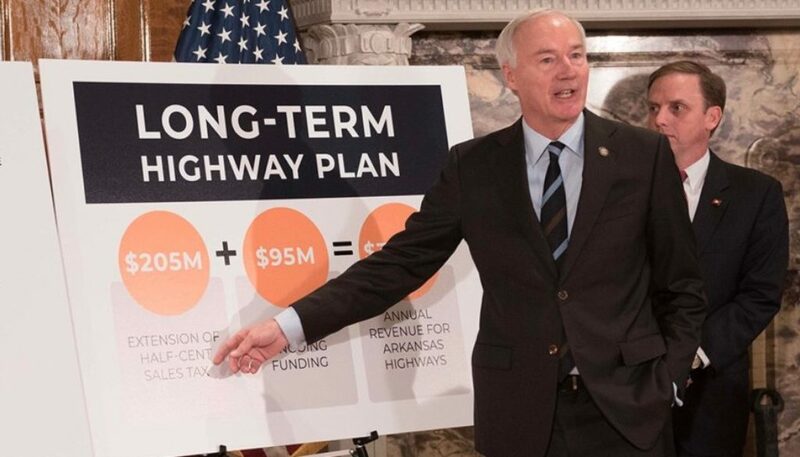 Asa Hutchinson announced Feb. 11 was labeled a $300 million plan for Arkansas highways. The revenue would come from a multitude of sources: extension of a half-cent sales tax, raising the tax (“user fee”) on gasoline and diesel sales, use of casino taxes and new registration fees for hybrid and electric vehicles. The biggest element of the plan is the sales tax extension. It is set to expire in 2023 and is expected to provide $205 million annually for state roads. Less publicized but equally important is that the highway funding bill is not a $300 million plan but a $410 million one. The plan would provide $110 million to cities and counties for infrastructure work and maintenance. The $205 million is just for the state highway fund. The sales tax would raise another $88 million for cities and counties. The raisin in the oatmeal is that the sales tax extension will have to be approved by voters, and it’s a permanent extension. On one hand, that is good because then it’s a long-term deal and you don’t have to worry about it ever again; on the other hand, some voters may not want to commit to a permanent tax. I have long been a proponent of raising the tax on gas and diesel sales. The bill would index the fuel taxes so future adjustments would be built in — again, good idea. Personally, I would have liked to have seen a larger initial tax increase. Three cents for gas and 6 cents for diesel is projected to raise $86.8 million, which includes $58 million for the state and $26 million for cities and the 75 counties. The casino tax revenue part is a guaranteed $35 million, and for every million the casino tax falls short, the difference would be made up from general fund and restricted funds transfers. At the very least, if the sales tax is voted down in 2020, then at least we have the fuel tax increase. I know, it’s a user fee because only users of gas pay it, and 3 cents a gallon is really not that significant of an increase for most drivers. The Arkansas Trucking Association has been in favor of raising the diesel tax because truckers want better roads and easier drives. Trucking companies can also pass diesel fuel increases on to customers. Quinn, whose organization can’t lobby for the sales tax vote, said the plan is a good compromise and he hopes it goes through. He told me repeatedly that it’s not just big-highway and big-bridge funding; the cities and counties will get important money to fix up their streets and bridges. “People keep talking about big, six-lane interstates, but it affects every county and every town,” Quinn said. 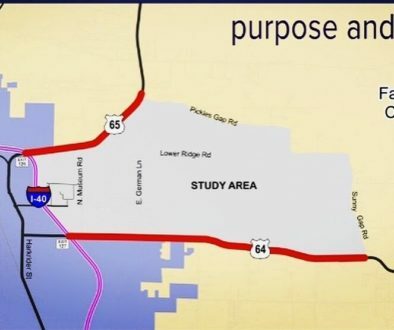 GOVERNOR’S HIGHWAY PLAN CLEARS SENATE	WHAT DO YOU SEE IN THIS PHOTO?